Mush Panjwani has been a successful sales trainer and motivational speaker for over 30 years. Mush has worked with corporates, entrepreneurs, managers and sales teams in 20 countries across Asia Pacific. 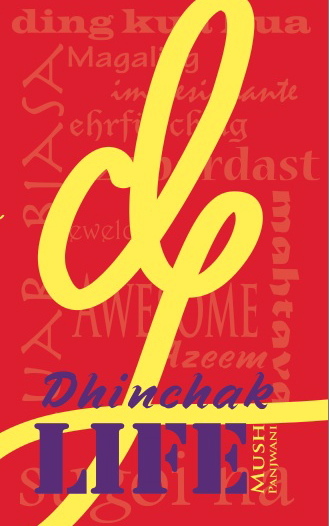 Mush is also the author of “Dhinchak Life” – a book about living a fantastic life. 11 years with Universal Educational Systems, Pakistan: Recruitment, training and managing of sales teams for Collier’s Encyclopedia, Time Life Books and Encyclopedia Britannica across Karachi, Lahore and Islamabad. 16 years with Time Life Asia, Hong Kong. Building, training and managing direct sales distributors in 19 countries across Asia Pacific. Worked with corporates, entrepreneurs, managers, and sales, marketing and customer service teams. After a lifetime in the direct sales industry, having Mush Panjwani help our company since 1999 and watching him work with many others, I affirm that he is the most effective and inspirational Sales Trainer, Motivator, Organizer and Manager I know. At individual and organizational levels, across many countries and cultures, Mush’s ability to design and implement programs to increase the results of the people he works with is unparalleled. I have no hesitation in recommending him to any individual or business that wants to see their sales go through the roof. If anyone can, Mush can! Without a moment’s hesitation, I recommend to anyone needing training of employees or salespeople the programs offered by Mush Panjwani. I have known Mush for over 15 years and have used his training skills to educate and motivate our sales teams with outstanding results. Mush is a tireless leader, passionate in his delivery, with in-depth knowledge of selling, marketing, recruiting, training and managing. His motivational skills are of the highest rank and his materials are always fresh and relevant to his audience! Any company wanting their people to stay current and competitive will benefit in a measurable way from Mush’s training. We have learnt so much from Mush Panjwani in the past 12 years. Through his amazing training programs, he taught us everything we needed to learn about selling. Mush always came up with new tips and techniques to empower and motivate our sales teams. He is a man of action with abundant energy levels. We can say that he was a big part of our success and winning of the Asia Cup. We will forever remember Mush and be grateful that we had him as our friend and trainer! I bumped into Mush’s training when we became the distributors for Time Life in the Gulf in 2000. My sales force and I have been attending his workshops and trainings for over 13 years now, and what amazes me is that each one of his training program is so different! Just when you think you know it all, Mush surprises you not only by showing what was lacking, but by taking you by the arm through the bumpy ride of change and improvement, thereby redefining peak performance at individual as well as organizational levels. Mush Panjwani is a phenomenon, and I vouch for the value he brought into my organization in the Middle East. I have personally learnt so much from Mush during the last 16 years, particularly planning and preparing for events, and enthusiasm for success. Mush transmits his enthusiasm to everyone who is around him. His training in setting and achieving goals, developing a wow attitude, positive thinking and the power of dreams have always been extremely effective, resulting in increased sales! More about Mush’s training programs here. And Mush’s latest venture, Coffee Wagera here.